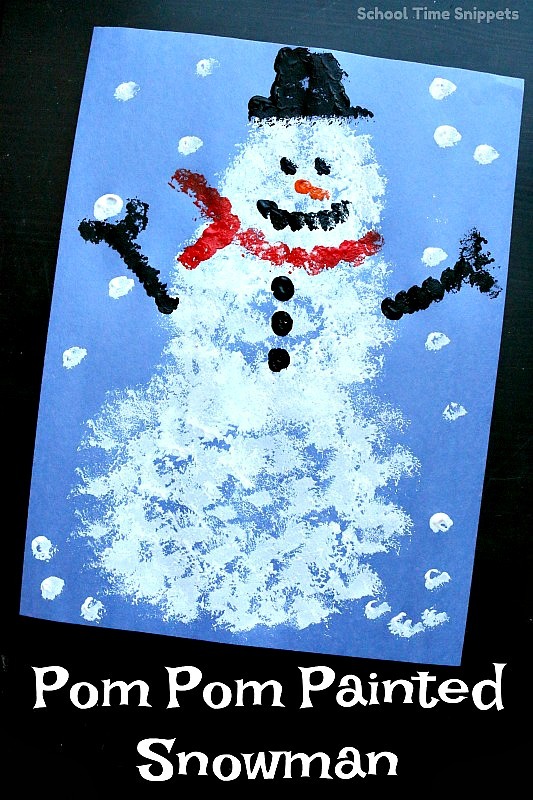 This preschool snowman craft is perfect to make during the cold winter months. 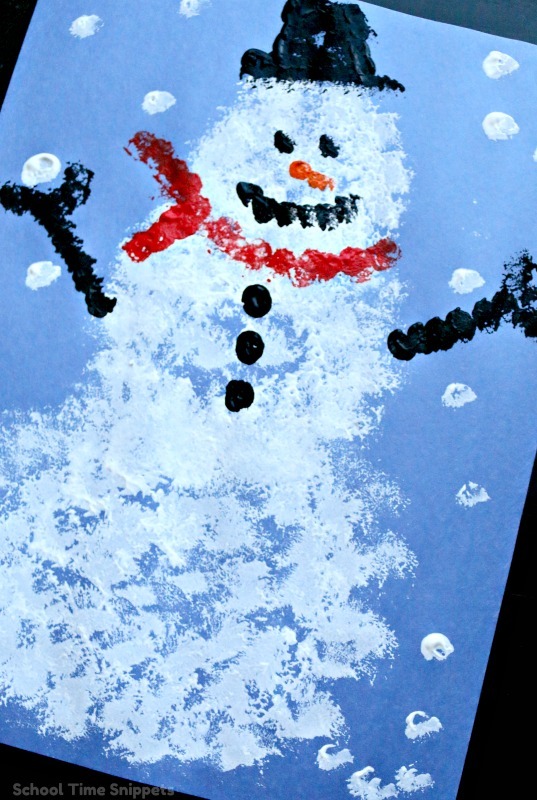 It's a low-prep snowman arts and crafts idea and is great for little hands! Just grab 4 materials and you can make this cute snowman craft with your little one, too! Sometimes it is just too cold or the snow isn't snowman material, but you have a little one eager to make a snowman right now!! What are you to do? The next best thing to making a snowman outside with real snow, is to make snowman arts and crafts inside! This preschool snowman craft is easy to make. No major preparations needed! Just grab a few simple household materials and your little one can make this cute pom pom painted snowman craft, too! 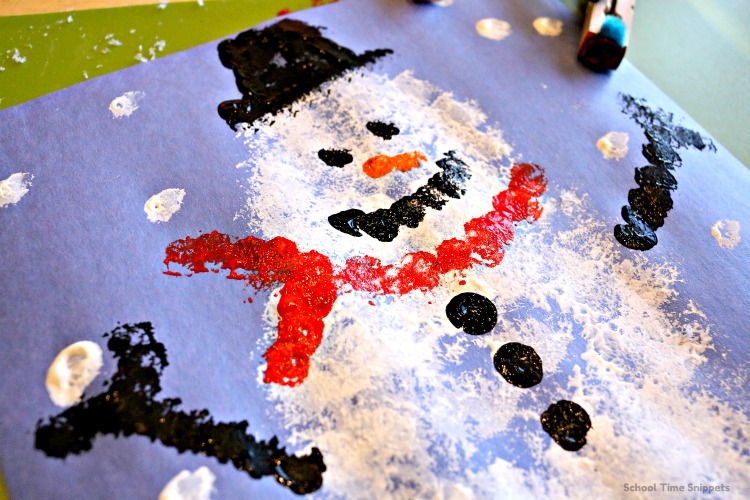 Enjoy making this cute snowman arts and crafts activity! To make this simple preschool snowman craft, pinch a pom pom with a clothespin. Dip the pom pom into white paint. 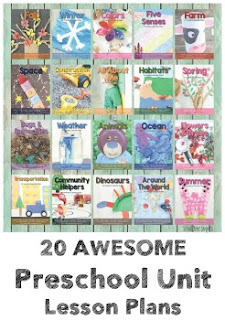 On a sheet of construction paper, have your child make pom pom prints. Encourage your child to make a large circle on the bottom, a medium circle in the middle and a small circle on top to resemble a snowman shape. Next, add eyes, nose, smile, and more with a smaller sized pom pom. Pinch a small pom pom with the clothespin. Dip the pom pom in black paint and make eyes, a mouth, arms, hat, and buttons. Use another pom pom to make a carrot-like nose with orange paint. Attach another pom pom to make a scarf. If desired, add some snowflakes around your snowman! Isn't this simple snowman craft adorable? 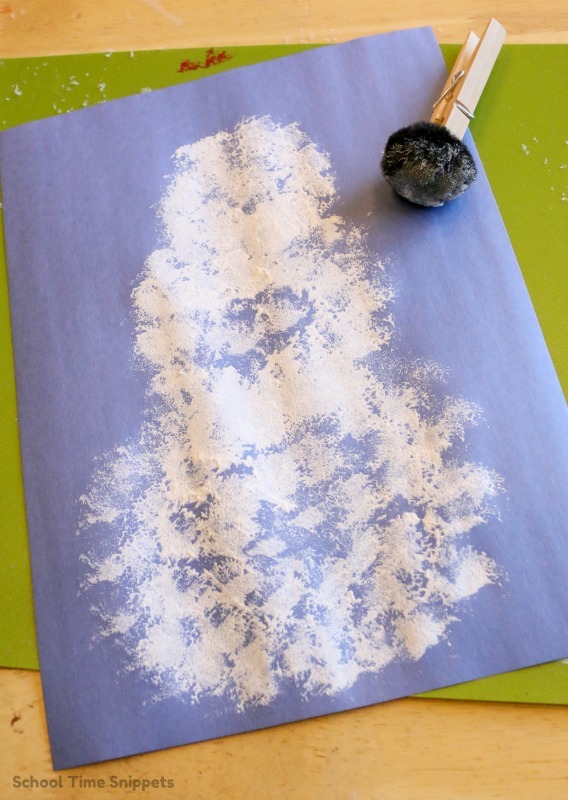 Add this preschool snowman craft to your list of winter theme ideas!